Dry & Steam Rug & Carpet Cleaning Services Ardwick M12 | Quality Property Care Ltd. Restore your beautiful rugs with the help of a professional carpet and rug cleaning company in Ardwick M12 Has your gorgeous rug lost its bright colours and looks dull and worn? There quick and easy solution for you. Quality Property Care Ltd., a rug and carpet cleaning company which delivers top quality residential and commercial carpet and rug cleaning in Ardwick M12 and the area. 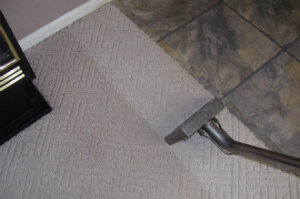 The carpet and rug cleaning services are delivered with the newest cleaning technologies and secure cleaning solutions. The professional rug and carpet cleaning team provides carpet spot and stain removal, dry foam carpet cleaning or shampoo carpet cleaning for all kinds of rugs and carpets . Trust the trained and vetted cleaners to deliver you excellent services at the best rug and carpet cleaning prices in the region. Call the expert client service line or send an online require for a free quotation, and you will get an offer in 2 hours! Meet Quality Property Care Ltd. - the best professional rug cleaning company with 10 years of experience in the field and with various solutions for rug spot and stain removal. Our reputable carpet cleaning business in Ardwick M12 has followed the general standards in rug and carpet hygiene maintenance. However, in addition to these, we usually tend to advance and progress. Contact us to get a booking for our carpet cleaning service in Ardwick M12 today! The modern rug cleaning Ardwick M12 approaches are now accessible and affordable ! There are a lot of different carpet and rug styles out there and we’ve ensured to be able to clean them all effectively. Our specialists use a different technique for all different kinds, which enables us to safely and properly clean both synthetic and natural fibres. We can clean synthetic, wool, cotton, linen, silk, viscose, organic fiber, suede, plush, chenille, nubuck, leather, acrylic. With years we’ve managed to improve our stain removal methods to a science allowing us to remove not only paint, tea, oily stains, rust, blood, wine, coffee, vomit, and moth damage, but also cope with synthetic and organic and synthetic stains. If you want to book a rug or carpet cleaning service, all you need to do is get in touch with the customer care line at 0161 823 0325, or use the on-line booking form right here. You will receive written confirmation as a e-mail and sms message. No deposit is necessary for booking. You will get a serious discount of the professional cleaning price, if you choose to book more than one cleaning service at a time! Call or send the booking form today! Same day booking is available, if you are in a rush too!